Why Is Reputation Management Important for Businesses? Risk management is one of the things that smart organisations do to maintain their online and offline reputation. Reasonable actions that they take can involve regulatory standards, safety and security protocols, diagnostics, maintenance requirements, quality control, and monitoring. While most organisations will consider most preventive measures, few will prepare for the effect that their organisation’s damaged reputation can have on business. 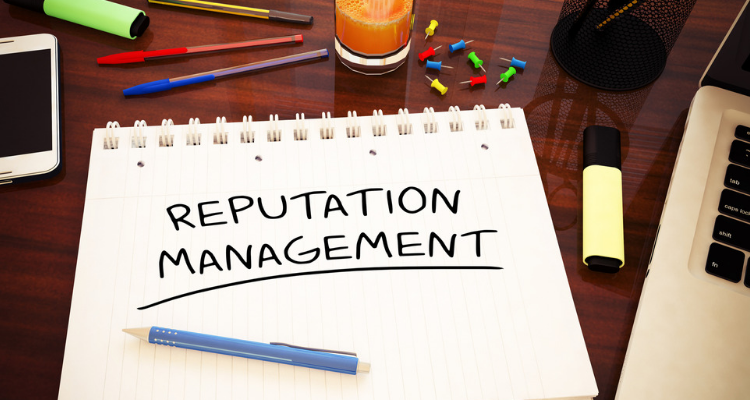 Reputation Management Services are crucial for your brand and business reputations. Social media can be of huge help in getting the word out about your business. However, it can also spread bad reviews much quicker than traditional word-of-mouth. It won’t take most customers longer than a few minutes to write negative reviews online. If they had a bad experience with your product, company, or services, you can be sure they will vent about it where the whole world can see. This study showed that 95% of respondents would share a bad experience with at least one while more than 50% said they would tell at least five other people. The same study also reported that almost 90% would read reviews before they arrived at a buying decision. You stand to lose the most valuable sources of marketing to your business, i.e., decreased word of mouth and overall sales. Reputation management requires having a key figure reach out to a dissatisfied customer. Communicate with them to let them know the company would like to make amends. Refrain from responding in a contrary manner to negative reviews. Another thing that could backfire is failing to accept responsibility. Once you have told the customer you want to communicate with them, feel free to have the rest of the discussion out of the public eye. It is equally important that you address the problem highlighted by the customer internally. Expectations and beliefs of stakeholders and investors may change at any time. They also happen to be an essential determinant of reputational risk. Allowing the gap between those expectations and your company’s reputation to widen only increases the risk. There are practices that were once regarded as moral or even satisfactory but aren’t perceived the same way by stakeholders today. For instance, in Japan, hostile takeovers weren’t considered ethical before the 1990s. However, the abolishing of keiretsu opened the way to hostile takeovers. Preparing a plan that can be customised to fit the mitigation of a crisis. For a multi-faceted and accurate strategy that would allow countering of potential threats to reputation, it is crucial to open a dialogue between executives, board members, risk managers, and the general counsel. Run scenarios that may arise in the real word and stress-test your policies and processes regularly. Incorporate the learnings gleaned from the tests. Continually improving and monitoring ensures compliance. Train for such exposures and include all possible threats, such as diversity, cyber risk, and ethical conduct to make it a permanent part of your organisational cultures and values. An organization should prioritize employee engagement if it is to maintain its reputation. Work related stress will work against employers in this regard. For one, dissatisfied employees may take a page out of the customers’ book and express their unhappiness on social media or complain to friends. Therefore, look for ways of strengthening employee engagement while you are casting about strategies to repair the damage by such outbursts. Gallup’s research on employee engagement in Australia led to surprisingly worrying results. The prevalence of negative emotions is quite strong in Australia and New Zealand. When compared with other countries, almost half of disengaged workers quoted work stress as the reason for leaving their jobs. The other reasons they admitted to were sadness and anger. The reviewers indicated that not only was employer brand management an integral part of employer branding; it was integrated into all aspects of the organisation. Furthermore, many employees considered it a valuable factor when deciding if they wanted to continue staying employed by a company. It is thus apparent that employer branding affects employee retention. Moreover, the study reported that 92% of participants would consider leaving their current jobs to work in a company that has an excellent corporate reputation. It isn’t sufficient for businesses to understand the long-lasting effects of a damaged reputation. It is equally necessary for them to be able to quantify their counteracting strategies. Many companies offer reputation management solutions that allow businesses to measure the effectiveness of various campaigns. Constant improvement will only be possible if companies know the measures they take are working.